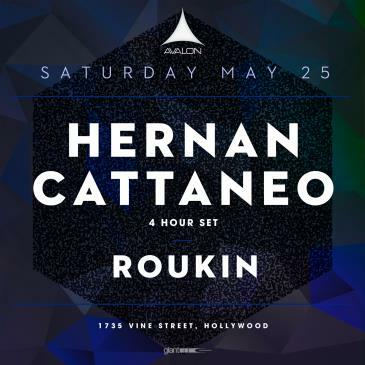 On Saturday May 25th, AVALON Hollywood will host legendary South American DJ, producer, and label owner Hernan Cattaneo for a whopping 4-hour set. 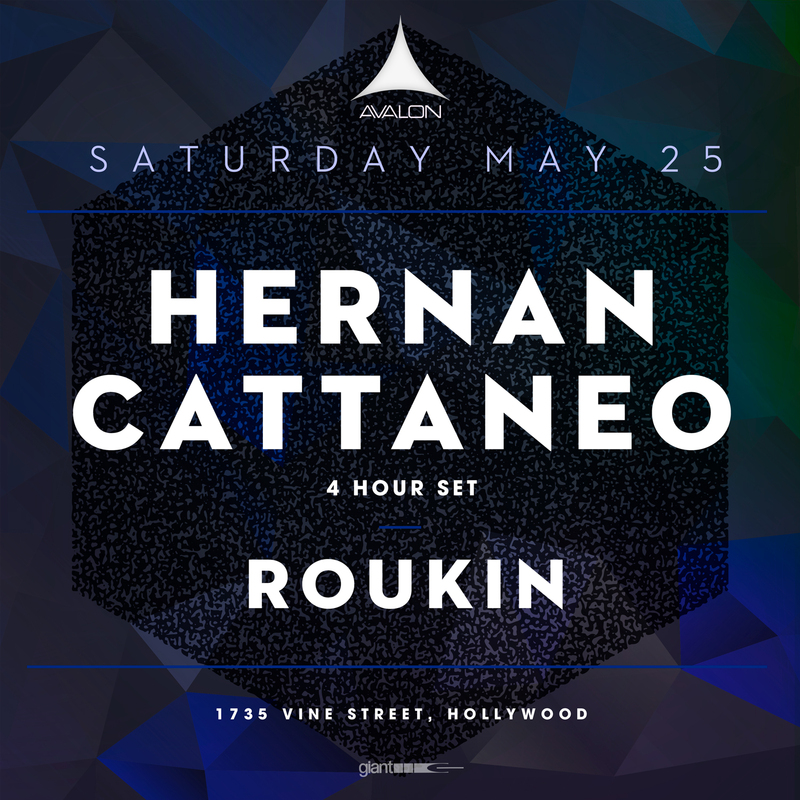 Cattaneo will be joined by English DJ and actor Roukin to complete a night of nonstop house euphoria. Hernan Cattaneo, also known as ‘El Maestro’, has long been an icon in the arena of progressive house. Shortly after winning his first residency at Clubland in Buenos Aires in the 80s, the Argentinian DJ quickly rose to international fame. Over the last three decades, Cattaneo has brought his awe-inspiring sound to stages at Creamfields, EDC, Ultra, Burning Man, and a slew of additional A-list international music festivals. His discography, made up of 11 albums, 30 singles, and 50 remixes, holds more than enough punch for the all-night sets he has become so famous for. As owner of the label Sudbeat, Cattaneo is well known as a champion of up-and-coming talent, a reminder that his contributions to dance music extend far beyond his personal accolades. AVALON Hollywood will also welcome English producer and actor Samuel Roukin, who’s exploratory house sound provides the perfect complement to Cattaneo. You might know him as John Simcoe from the TV series “TURN: Washington's Spies” or from various Harry Potter cameos, but Roukin is a DJ at his core. Inspired by the sounds of mid-90s warehouse parties, Roukin utilizes elements from techno and disco to drive home groovy house sets.